There seems to be a whole crop of Building a PLN “how to’s” popping up all over. This will be another to add to the collection. Since I have developed my Personal Learning Network over years however, I hope to provide some insights that newbies or analyzers of PLN’s might not have a clue about. Before tech was ever involved I developed a PLN based on face to face contact. This was limited to the people who I worked with within my school building or district. I was able to expand the contacts from my local network when I attended Education conferences locally, regionally or occasionally nationally. I was fortunate to get to go to certain Education conferences, an experience not always afforded classroom teachers. I would always share my findings with others when I returned from conferences. 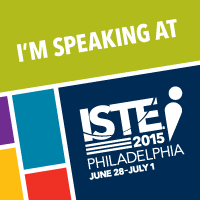 Since I saw tech in education as a way to move education along, I was thought of as a “tech guy”. I was not. I was a teacher using tech as a tool to teach. I learned what I needed to know to accomplish that. I was always an English teacher first. Keeping up with tech was easier back in the day. Stuff actually lasted more than a year. There was time to experience and adjust to a tech tool before the next tool came out. Every new tool had to be researched before being accepted after long periods of consideration. The internet did not change that process, but it did offer us a chance to explore other websites put up by teachers and vendors. It informed us of things available for a price. With the advent of Social Media the development of The Personal Learning Network really started to change in the look and feel of professional development. Web 2.0 tools also enabled a more rapid development. The only educators who noticed however, were those involved with Social Media, and that was not a large percentage of educators. It is a challenge to get educators to use technology, now the challenge is not only to use it, but additionally, to convince them of an educational purpose for Social Media. I used email and list-serves early on for connecting with educators or topics to help me learn as a teacher. My first foray into Social Media was joining Linkedin. I found many EDU groups, but after joining and engaging people in these groups, I found that they did not completely meet my needs. I created my own groups to do that. I formed Linkedin groups for educators only. I kept out vendors, consultants, and curiosity seekers. I defined the discussions to be academically oriented. It worked. I have five educational Groups on Linkedin. 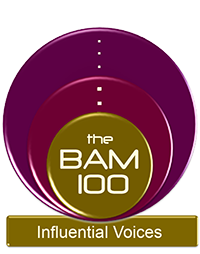 The largest is over 1,700 members. Linkedin was the first component of my technology-assisted PLN. It was not fast enough for me. The discussions were in depth and very helpful, but they took weeks to develop. Linkedin members visit their accounts less frequently than other venues. It was through Linkedin that I discovered Twitter. At first, I did not get it. I was following ten people and they were not always on the twitter stream, and they were socializing and not putting out educational links. I used my Linkedin connections to gather educators who used Twitter and this increased my people to follow. I concentrated on recruiting educators who engaged on Linkedin. I began expanding from there, concentrating on following educators who offered information. 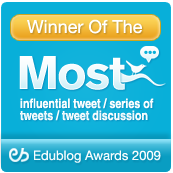 This accounted for the second component of my growing PLN. My Twitter component proved to be the best and fastest methods of gathering and sharing information.Adding to my 400 Linkedin connections Twitter now has 6,000 people following me. There was now a stream of information coming to me on a daily basis from Linkedin and Twitter. The need to store and categorize all of this for future reference was now the primary goal. Two applications were suggested by my PLN, Delicious and Diigo. They offered many of the same bells and whistles, but I caught a conference where they did a workshop on Delicious, so my choice was made. I began bookmarking every website, video, application, podcast, webinar and article that came my way. I also began a network of people on my Delicious site since it too is a SM application. I accumulated over 400 sites on my own. My big “get” however is that I connected with 91 other educators giving me access to their bookmarks as well. Since we are all educators considering and saving good educational material, I now have access to 121,000 educational sites. This is now another component of my PLN. A search of a topic on Google may offer 5,000 websites on a subject. The same search on Delicious may yield 5 sites vetted and used by teachers. Saving time and gaining proven sites are two reasons to do delicious over Google. As an educational professor I was able to provide all of this information to my students for their future use as teachers. My problem was that they were not ready for all of this at once. I needed to create a place to hold this stuff until they were ready to accept it. Beyond my current class, I also wanted my future students, of classes yet to be, to be able to access the same information. I investigated the world of Ning. It was not a mystical Asian fantasy world, but a collaborative community. I could store all of my Links and invite all of my students to join me in one location. It was a private site where we could collaborate in real-time as well as time shift. All the information that I was able to store, could be shared. This became another component of my PLN. It was soon apparent that I needed to also create a site for all of the followers that I accumulated on my Twitter account as well as the connections from my Linkedin Account. I had a very strong feeling about sharing with the people who share with me. The idea of a PLN is a collegial relationship. It also underscores the fact that a PLN is not a passive endeavor,but one that must be actively pursued and maintained. One must work it to get value from it. All of this led to the development of another Ning, The Educator’s PLN. 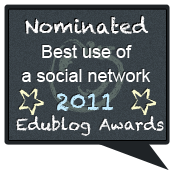 http://edupln.ning.com/ “The Educator’s PLN” is a source site for educators to access many sources, as well as new people, for their PLN”s. 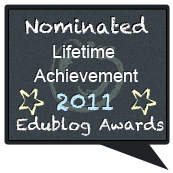 It is loaded with links, tutorials and videos, groups and blog posts dealing with education. 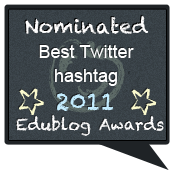 In addition to the members to follow there are lists of educators to follow on twitter. These lists are fairly new and with one click, one can follow hundreds of valuable user-educators. This saves months of time compared to the old method of one person to follow at a time.This Ning site now has 5,000 collaborating educator-members. Since many of the links people put out involve Blog posts it is easy to understand how many useful posts are repeated if they are deemed valuable. 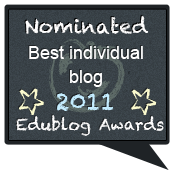 Educational Bloggers are quickly singled out and considered valuable sources. To get access to these Bloggers directly, I subscribed to their blog posts with Google reader. It delivers the latest posts directly to me. Another component of my PLN. By the way feel free to add my Blog to your Google reader. This was the story of the development of my Personal Learning Network. It works for me. I developed it with tools I discovered and was comfortable with. It was on an as needed basis. There is no one place to go for a PLN. There is no Twitter PLN. There is no Linkedin PLN. There is no Ning PLN. Your PLN is built and developed and improved with various tech tools to extend your reach beyond the walls of your building.It is not about who has the biggest PLN. It comes with a price. People need to give information in order to get information from others. One can “Lurk and Learn” on the PLN until a comfort level is attained. The learning however, is deeper and quicker when one engages others in sharing and collaborating. On a PLN people are accepted for their ideas and not their titles. One will often be asked to give an opinion. There are pitfalls. Some believe that they must always offer opinions, even if they don’t know enough about the subject to responsibly offer an opinion. Sometimes the answer must be, “I don’t know”. The other pitfall is to speak in 140 characters all of the time. The 140 limit forces one to be concise and to the point. The dark side is that some people begin to sound like a cross between a fortune cookie and Forrest Gump’s Mama. Develop your PLN at your pace with whatever Tech you are comfortable with. Start with a social media tool to acquire information. Add a tool to save the information. Balance your time. At first the tendency is to spend a great deal of time. That pays off getting people to see you and recognize you. After things begin to happen, you will adjust the time on your PLN as needed. It is your PLN and your rules. You may add or drop people as you go. Strive to maintain those who offer quality information. Discard those who detract or distract from your goal of sharing and collaborating. Very similar experiences to my introduction to PLN’s except I didn’t start with Linkedin and I never got Linkedin other than a place to store your resume and to get people to help you find a job. Thank you for including me in your PLN. Your thoughts and comments are always interesting and inciteful. Lovely post Tom and still things to explore and learn. Building a PLN is an ongoing process I see and who knows what might be around the corner to enhance it further! This is my first foray into a PLN (1 month so far) and I must say–I’m enjoying it. I find the Twitter conversation lively, informative and humorous at time (always a welcome ingredient). I don’t feel put off by the folks who know more, do more, etc. I am a committed educator interested in learning more for myself and my students–I feel connected. And after 14 years at one site, it’s a breath of fresh air to hear others speak of things that I too am passionate about. My PLN is forming slowly and I lurk and learn and occasionally participate, but I am very excited for the future possibility of this professional opportunity. Thanks. 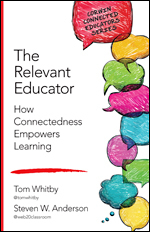 Fascinating post as I am just doing a literature review for my dissertation on networked learning communities and the impact on teacher practice. Am trying to define personal learning network for my readers so this piece really helped shape my thinking. Is there a formal definition on personal learning networks out there that you know of? What an amazing post! I will be sure to refer to this regularly and will be adding you as one of the people to follow. I too am a teacher. I am the son of two Boston public school teachers and have been teaching since 1995. I am reluctant to use technology and have struggled to keep up with it. I have used linked in and also have started with twitter for the last few months. Your name appeared in an MTA Today magazine that I read over 4 weeks ago and I have now made one of my first comments. Another teacher and I have created a resource that we feel is extremely useful for so many teachers. Last spring we contacted several in our state with the old snail mail. The response was great is Southeastern MA. Now we are trying to reach out to others. This blog will be a great reference for us. Thanks!!! Thanks for sharing your personal journey on how your PLN started and adapted to your needs and new technologies. I agree with you that growing a PLN takes time and effort. I don’t ‘get’ Linkedin. I have just opened a delicious account and am finding it a huge help in being able to access it from anywhere. (I have to mention that my computer crashed a week ago and although all my documents are online on blogs and wikis, I lost all my Favourites and so, I was prompted to put my favourite websites and links online too!) Thank you for sharing your journey regarding building a PLN, I am slowly building mine, and trying not to cave in to the pressure to include all my teaching colleagues in the State where I teach, just because they happen to teach in the same state as I am…a bit hard to resist this pressure as the whole of the state are all (trying) to move into Web2 all at once. Keep sharing your thoughts, it is always refreshing to look at life via your Island View. Thanks for the insight, Tom. 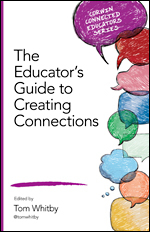 Two questions: managing and maintaining your PLN sounds like a lot of work. 1. How do you manage to do that (e.g. regular Twittering) along with your normal job? 2. Could you pin down what specific benefits you get out of your PLN? 1. As an adjunct Professor I only have 2 classes per semester. Since they are Educational Methods courses most of what I do with my Personal Learning Network is shared with my students. 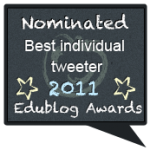 In addition I have each of them develop a PLN as well as a blog during the semester. 2. In addition to what I do with my students, I have also learned much more than I ever imagined in regard to 21st Century Education. I believe that there is a new form of literacy that has evolved around Technology in education. I believe I am staying relevant and becoming more literate each day. I have also traveled around the country speaking about this very topic. This has all occurred in the last two years or so, after a 34 year teaching career. It is all a direct result from using Social Media to develop and maintain a Personal Learning Network. Thanks. I can see that in your context, all this activity makes a lot of sense. I teach a full-time position at a German secondary school, about 20 45-min lessons per week plus adminstrative tasks such as managing the school website. I just decided to cut down on Twitter because – while it always yielded relevant materials and ideas – the amount of time needed to have it running along while working was just too much for me. Anyway: I got some good ideas from your post about using delicious collaboratively – so far, I’ve only used it for myself.